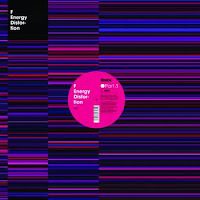 7even Recordings is proud to present the stunning debut album from French beat master F: ‘Energy Distortion’. Florent Aupetit discovered Drum'n'Bass as a teenager, an early enthusiasm which pushed him straight out to buy records and a pair of decks. Slowly after he set foot on the production path, and began producing Drum'n'Bass tracks on fruity loops. He began to develop a passion and deepen an interest in the emergent style of UK underground music called Dubstep, and eventually started producing Dubstep tracks as recently as 2008. His growing love for Techno, and other minimal forms of Dub led him to combine elements of both musics with Dubstep, with stunning results. French dubstep pioneer and 7even Recordings label head Greg Gouty was immediately captivated by the impeccable levels of production and fresh beats streaming from this talented newcomer. Traversing different worlds, atmospheres and vibes, including classic unreleased tracks (0907, Poka, On The Corner, Confined System and Hologram) and brand new, unheard material (See The Light, Chillin’, Perspectives and Funk Injection), beautifully cut and loudly mastered by Shawn Joseph and Jacko Adams at Optimum Studios in Bristol, the team resposible for 2009 albums by Martyn and 2562. 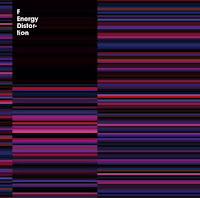 Packed in a crisp, ultra-fresh cover by Parisian designer David Lollia aka Synaptic, ‘Energy Distortion’ by F is a great album of Electronic Music, a fine listen or spin in multiple formats. The CD and Vinyl Editions each contain exclusive tracks for the fans. The Vinyl Edition consists of the sampler 12” and two beautiful double 12”s. Heavy weapons for the dancefloor, and a great album for music lovers! Great anticipation has been building since news filtered out about this new Keysound plate. 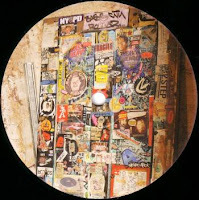 Two lost classics from Skream are contained, 'Sweetz (2005 Flex)', which as the title suggests is a beat dating back to 2005, really melodic and showing a significant Detroit influence. On the flip is 'Angry World', which is cinematic and swung in a manner most reminiscent of foundation dubstep pioneers Horsepower Productions. Both tunes hark back to a formative early era of dubstep, the times perhaps most associated with Brixton club 3rd Base : an era that we think Dusk and Blackdown will never stop loving. The artwork features, at Skream's own request, a capture of the renowned Big Apple store, epicentre of the dubstep scene. Laying low in the cut after the much lauded 'Recession Vol.1' mix album and his wrily-titled futuristic crossover 'Euro Dance Hit', Caravan label head honcho Julian Smith aka October returns from deep studio retreat with possibly his best, certainly most forward thinking dance floor record to date. 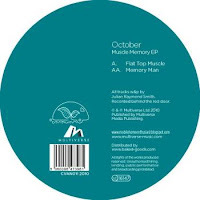 As always October takes a big slice of his inspiration from the Detroit techno sound of the 80's and early 90's which is clearly evident on the second cut on this plate in particular. However you simply cannot ignore his perhaps more euro-centric dub tendencies and broken-beat rhythm principles that always inform his overall composition and production ethos. 'Flat Top Muscle' is designed for tomorrow's dance floors as well as those murkiest darkest dub corners. Full of analogue synths, vintage guitar pedals, a funk-pulsed Moog bassline and vintage drum module programming, this track is laced with October's distinct signature. Militant in its delivery, this is a killer cut - set to make a big impression on the start of 2010. 'Memory Man' is definitely the deeper track of the two, warming up the midrange with Detroit-style techno pads and delayed synth lines. Smith again provides that distinct crossover sound injecting some serious broken half-steps as well as his usual meticulous beat and bass programming. This is straight up heavy business to say the least and has already gained support across the globe from the likes of Ewan Pearson, Scuba, Skudge, Sigha, Ripperton, Kevin Gorman amongst others.